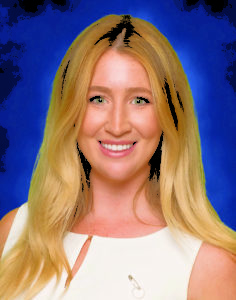 Meredith Drukker Stratigopoulos, Geneva Class of 2011, is the highlighted alumnus for this quarter. Here are her responses to a standard set of questions which will be given to an alumnus to answer each quarter. Please give a current update on yourself (college/graduation year, major, work/career, family, other interests, service or hobbies). In 2015 I graduated from Texas Christian University with a major in English and a minor in Political Science. While at TCU, I joined Pi Beta Phi, started dating my future-husband and made life-long friends before moving to San Francisco to start law school. After a year in San Francisco, I transferred to The University of Texas and completed my J.D. in 2018. Upon graduating from law school, I took a few months off and trekked to Mt. Everest Base Camp in Nepal before starting work as an Associate Attorney at Watts Guerra LLP in Austin, Texas. I married my husband J.T. Stratigopoulos in 2017 and we have since moved into a house in Austin, adopted our dog, Rusty, and fallen in love with Austin. I spend 50 percent of my time traveling for work across the country, but when I am home I enjoy paddle-boarding, kickboxing and hiking. I am also an active member of TTLA, the Texas Trial Lawyers Association. In what ways did your Geneva education/training prepare you for the work you are doing now? My time at Geneva taught me to be a self-starter. There was an expectation that we did the work that was assigned to us and that we were prepared to actively engage with the material in a classroom setting. Because the bar was set high for me, I was able to achieve more than I would have initially expected of myself. I now have learned to set high expectations for myself, to prepare for challenging assignments, and how to manage my time. At Watts Guerra, there is a sink or swim approach to new associates—no one is holding my hand or showing me how to do everything. I have to take the initiative to teach myself every day and know when I need to ask for help. If I expected others to do work for me, spoon-feed me answers or constantly cut me some slack I wouldn’t be able to move forward with my career. Please describe the most significant value you learned from Geneva. My time at Geneva allowed me to try on many different hats and to not have the fear of failure. I developed an unshakable confidence and learned to always think creatively and not take “no” at face value (probably to the annoyance of my teachers!). I rely on my own confidence and positive thinking every single day in my job and am grateful to have developed it throughout my time at Geneva! My teachers at Geneva always encouraged me and would work with me rather than against me which taught me to trust myself—which has been an invaluable skill throughout college, law school, and into a demanding career.  How would you encourage a Geneva Rhetoric School student to make the most of their Geneva years? I would encourage every Rhetoric School student to experiment with their interests, friendships and activities. If you want to try out for the basketball team but have never played before, DO IT. If you’ve never spent time with someone in your class, TRY IT. If you want to join a small group/club sports team/community theater, etc. outside of Geneva, JOIN IT. In Rhetoric School I played club soccer, was a captain of our debate team, was a cheerleader for a year, and participated in a school play. In college and beyond, you will naturally specialize in things and you won’t always have the time to try something new. Get out of your comfort zone and surprise yourself with a new friend, a new skill or a new interest. It’s okay to try something and flop. It’s okay to do something just to see if you like it. It’s okay to do something just for fun! My other piece of advice is to start building your stamina now and take control of your attitude about work now rather than later. Learn to enjoy hard work and be intentional about a positive perspective now rather than later. Almost every career is going to require hard work, some of it thankless, much of it on nights and weekends. Learn to shut down a complaining attitude about work and appreciate working hard for your future self. If Geneva feels busy, challenging or even overwhelming at times, be grateful that it isn’t a cakewalk. Geneva can be practice for managing future challenges, and maybe even learning to enjoy them. Describe Geneva in one word. Explain. Investment. I think each phase of your life leaves you with two things: memories from the past and preparation for the future. Invest in your friendships, prioritize having fun and enjoying your life, try new things as much as you can! I am so thankful to have amazing memories from my time at Geneva. I have lifelong friends to relive memories with and we laugh just as much as we did when they first happened. There are no memories worth reliving that come from your couch at home. With that said, Geneva is also a fantastic place to prepare for your future at college and into your career, whatever that may be. I am thankful I had an incubator at Geneva to test my ideas, learn new subjects, and get instruction from teachers who really cared about me. Please share one or two of your Geneva extracurricular activities and then contrast that with one or two of your current non-work activities. At Geneva, I helped start the debate team and was also involved in sports both at school and outside school (soccer, cross country, cheerleading). Outside of work, I love to hike, paddle-board and kick-box. My foundation of playing sports certainly ties into my hobbies today. While the types of activities have changed, I still love being active, being outside and feeling competitive with myself and others. As well, my time on the debate team ties in with TTLA where I will be volunteering during this legislative session to help lobby against bills that limit access to legal remedies and the court system. What are your future career goals and how do you feel prepared for them? How has Geneva been a thread that has connected you to your work now and what you see yourself doing in the future? I hope to make partner at Watts Guerra within the next three years, originate cases throughout my career and in the future be able to focus on the types of cases about which I am most passionate: wrongful death, sexual assault, and domestic violence. I also hope to be involved in legislative changes that broaden access to our civil court system here in Texas through TTLA. Geneva is a necessary part of my journey to become an attorney. I have wanted to be an attorney my entire life, and Geneva offered classes and extracurricular opportunities like the debate team that allowed me to pursue my goals and interests throughout Rhetoric School. How are you impacted by being in graduate school? What is something you have learned/are learning about yourself and God’s world? I am grateful to always feel excited about my work. I know that the work I am doing is making changes across the country in how businesses choose to operate and how individuals choose to act. The goal of working as a plaintiff’s attorney is to hold those who have wronged others financially accountable for their actions. Right now, my firm represents thousands of those who lost their homes or lives in the Camp Fire in a lawsuit against PG&E; we represent thousands of active duty military and veterans who have lost their hearing due to defective earplugs manufactured by 3M and; I represent the families of those killed or injured in car accidents, products liability cases and other wrongful death cases. In all of these cases, I go to bed at night truly feeling like I am on the right side and that I will help my clients, who often have lost everything. In the last few years, I have continued to learn the value of deliberate honesty and reliability. Those are the two qualities I have come to care about the most in myself and in others. Excuses are cheap and plentiful in the world, owning up to mistakes and honest interaction are priceless. I am thankful for a foundation at Geneva and throughout my life that prepared me to set high standards for myself, and recognize what is truly valuable in the world. Every day I learn to be comfortable making decisions in my work, in my marriage and for my future without regard to what the rest of the world thinks.